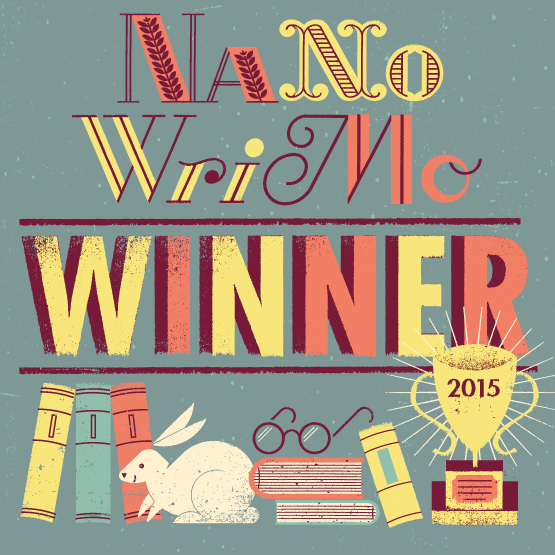 Very Inspiring Blogger Award? Moi? 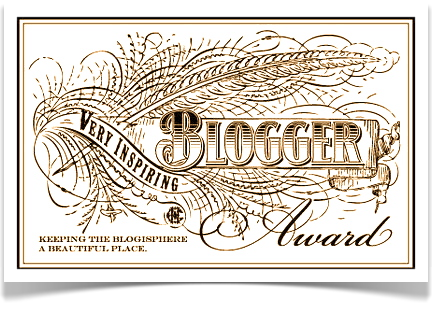 The wonderful Sara has nominated me for the “Very Inspiring Blogger Award!” How exciting! I was pretty shocked to get this, mostly because I’ve been a bit absent from the blogosphere the last few weeks, but I’m honored to be nominated. If you haven’t checked out Sara’s blog, you need to. And I mean NEED. It’s pretty faboo, so go on over and say hello! These are some pretty sweet (and easy!) guidelines, but I’ve also seen other versions of this award that ask you to describe three things that have inspired you recently. So I’m adding that guideline to mine, as well, because I think it’s a great idea. 6. Describe three things that have inspired you recently. 1. I’ve been in choirs since I was seven years old, and sang in Carnegie Hall with my collegiate choir. Amazing! 2. I am not a caffeine junkie. Not. I hate coffee, can barely stomach tea, get heartburn from soda, and can’t stand energy drinks. I’m usually pretty zippy without them. 3. I don’t nap. Or I rarely do. If I’m sick or have had less than 4 hours of sleep per night for a few nights in a row, then I’ll nap. Otherwise, I sleep like a rock at night. (Another reason not to drink caffeine). 4. My mom used to call me G.G. when I was younger, short for Gentle Giant (because I’m so tall), but I was ruthless playing sports. I guess that’s where all my violence and aggression ended up. It’s still like that today. I’m a gentle, sweet person until you get me playing a sport. Then I’ll try my best to wipe the floor with you. 5. I’m what most people call an “old soul.” I do NOT understand my generation at all. (Yes, that’s a generalization, and yes, I realize not everyone is like that. Certainly not my blogging friends, but definitely the people I’m surrounded by). Growing up, I was amazed at how rude people were, and how little work they did while getting things I could only dream of. I’m very grateful to my parents (Love you, Mom and Dad!) for having instilled in me respect for others and a hard-working attitude. I got along better with my classmates’ parents than I did with my classmates. True story. Obviously, I was quite unpopular, but I’m very grateful for that. It’s a huge part of what’s made me creative and able to empathize with others. 6. I cannot wear the color red. I’m pale as a ghost 99% of the year. Even when I get “color” in the summer, it just fades back to marshmallow white. With red undertones in my skin, I can’t wear the lovely color. And it makes me sad. 😦 All you women who can wear red, wear some for me, okay? Same goes for hats. My head is too big for them. Literally. So slap on a fedora, or a beret, or a nightcap or something and tell me all about it! 7. The camp my MC attends in my MG fantasy book is HEAVILY influenced by the camp I went to as a child, as well as the camp I worked at for kids with special needs during the summers of college. If I hadn’t worked there, I’d have taken more classes and graduated early, but this was an experience that was unbeatable. The best and hardest weeks of my life each summer. There are my facts! Random and fun, right? 1. Watching a good (and young) friend of mine battle breast cancer with an attitude that can’t be beat. I’ve never seen anyone deal so well with such a hard diagnosis. She’s upbeat and determined to whip this thing. She inspires me every day. 2. The lengths to which a friend of mine is planning my stay with her in Florida in October. I don’t get to see her that much, but knowing how much effort she’s putting into the trip and my time there makes me realize how lucky I am to have her as a friend, and it makes me want to reach out to all those friends of mine I haven’t seen or talked to in a while. 3. The beauty of an afternoon thunderstorm. I love thunderstorms in the summer. It’s such a display of power and beauty. They’re always inspiring to me. I know there are many more interesting and thought-provoking things happening in the world that are inspirational, and the list could go on for pages, but I’ll leave you with those three. 1. Herminia Chow at aspiringwriter22. I think I comment on pretty much every one of her posts. We get along famously! 2. Kate over at Kate’s Bookshelf. She and I have a lot in common, and it’s cool to see the similarities. 4. Sarah J. Carlson over at sjoycarlson. Another blogging buddy whose posts always hit me right where I need to hear it. 5. Caroline Sibley at her lovely blog. She and I agree and chat about so many cool books and ideas. I’m never disappointed when I visit her blog. Love it! There. I’m only nominating five bloggers. There are so many others I’d nominate, but these ladies hit the top at this time. I would have included John, but I know he’s nominated for a gazillion awards, so… you’ve escaped my clutches this time, John. I look forward to reading their random facts and continuing to be amazed by my blogging buddies. YESSSSS!!!! I will SO do that! Gosh you’re nice! And I love your blog too, obviously. I love these facts! Great blog choices. I am following all of them now! That is awesome! I didn’t know what to blog about today, lol. Oh, I know how that feels. The last few weeks, my posts have been ideas from other people or things I’ve been nominated for because I’ve been too busy and brain-dead to think of my own things. It’s terrible, but I’ll get back to being more original as soon as I can. There is nothing wrong with that! I will have a better one tomorrow. I would love to guest post! Thank you so much for the honor! Even if I were busy, I’d make time to do this. It just might not happen in the next day or two. I’ll e-mail you and you can give me a topic to write on, or I can give you a list of ideas. Your choice! Can’t wait! You’re the best! I’d love to hear some of your ideas, and we can discuss. It’ll be awesome! Nice post! I wish I could wear a fedora for you, but unfortunately, my head is too big for them too! I never get notifications when someone links to my blog anymore. So that’s why I’m seeing this way late. I don’t get notifications, either. I was linked twice in the last three days and the only way I knew that was because it was by someone I follow on a regular basis. Don’t know why that’s happening. You’ll probably never get to hear me sing. I’m very shy with my voice, though I was in musical theatre in high school. I don’t like singing solos. Hence my decision to stay in choirs. Rare need for solos, and when there is a need, I don’t audition. Solos aren’t my thing. I can belt out song well enough at home or in my car. And I’m not ashamed if the car next to me sees me doing it. You must not be a very good singer if you only sing in choirs, the shower, or the car. Too bad. Sigh. You’re so encouraging. Do you really think the choir directors would let me in their choirs if I didn’t pass their auditions? No matter if I sing solos or not. Why you so mean, Wordsmith? I was in choir once. I didn’t do anything but talk a little loud. Cause I definitely couldn’t sing. And you’re holding out on us! You say you can sing but we can’t ask for a sample. Too much work. I’m just sticking to my original thought.